Can Road Safety Week improve our ways? The Road Safety Week is an annual event held in India every January. Nitin Gadkari, Union Minister of Road Transport and Highways, launched the 27th edition of the Road Safety Week in New Delhi on January 11, 2016 and it will be observed till January 17, 2016. Every Road Safety Week has a theme and this year it is Road Safety - Time for Action. Nitin Gadkari says, "In our country every year 5 lakh accidents take place, nearly 3 lakh people get injured and 1.5 lakh people lose their lives in road accidents. Our responsibility is to save the life of these people." He also announced some new safety measures - like having a Constitution of the Road Safety Authority to look after overall aspects related to road safety in the country. Also, introduction of the Road Transport and Safety Bill in the Parliament, to seamlessly develop a secure, efficient, cost-effective, sustainable and inclusive transport system for the movement of passenger and freight in the country. Between 2015 and 2019, a total of Rs 11,000 crore will be spent to fix the accident prone spots across the country. Airbags will be made compulsory in every car and computers will be used for conducting driving tests to curb irregularities in issuing licenses. During the Road Safety Week, various government and non-government organisations promote road safety measures in schools, colleges, work places, etc. During the week long campaign, a number of road safety posters are put up in cities across the country and pocket guides and leaflets related to road safety are distributed to road users. Painting and drawing competitions are held in schools, workshops about use of helmets and seat belts are held and many also run free medical check-up camps and driver training programs. While all this is very good and very necessary, I am afraid it's just not having the desired effect. While the exact figures for 2015 are yet to be released, in 2014 we had some 1.5 lakh deaths reported due to road accidents. This figure is surely higher because in our country many things go unreported and remain unrecorded. The death of so many people is shameful and I don't see the Road Safety Week changing anything. It's just another exercise to show that the government and some sections of society are concerned. I am told the financial loss due to road accidents is also colossal and amounts to some 3 per cent of our GDP (Rs 3.8 lakh crore)! Such a large amount can be utilised in so many ways to improve our country and the quality of life. Road accidents don't just impose a financial burden, but also an emotional one that cannot be measured. Yes, how do you measure the feelings and emotions of those who have lost their loved ones in a road accident? The only good thing, if you can call it that, is that road accidents contribute a bit in controlling our population growth. But surely this is no way to keep the population in check. The question that needs to be asked and answered is - why do we have so many accidents, and so many deaths? The simple truth is that we Indians are suicidal drivers. The moment most of us get behind the wheel, we become complete madmen. We drive at crazy speeds, break every law and go in whatever direction we please without even looking. We drink and drive and some do drug's and still drive. Even if we are sober we don't give the road our undivided attention and are constantly distracted. Many commercial drivers often fall asleep and crash. And these crazy driving habits are not limited to any class, creed, caste or culture. The young do it and so do the old. 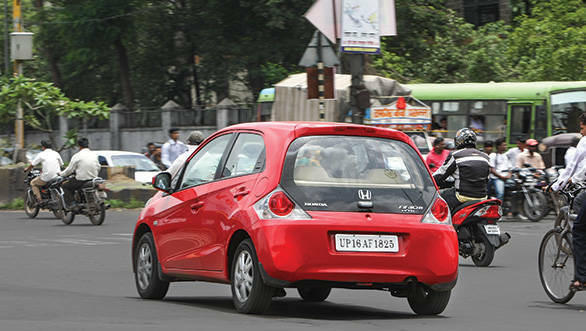 Rich or poor; educated or illiterate; villager or city dweller; almost all Indians drive very badly. Actually, it's only on Indian roads that you see a class , caste and creed free society. Whoever you are, wherever you are from and whatever your standing in society, the common factor amongst most Indians is, they all subscribe to a horrific driving culture. Interestingly this is only at home. When Indians travel or migrate abroad, they drive in the disciplined manner they are required to. The reason so many people die is that even if their vehicles have safety features, most don't use them. They won't wear seatbelts or helmets. Thanks to the harassment from authorities, few people come to the aid of accident victims. Our emergency aid infrastructure is very poor too. Ambulances take ages to reach and most are ill equipped and without even basic medical features. And if you expect the Ambulance to have a trained paramedic, you are not in touch with reality and possibly living on Mars. Such is the state of affairs. A lone Road Safety Week is definitely not going to solve this mammoth problem. I doubt even a Road Safety Month or Year will change things. At the minimum you need a Road Safety Decade to start making a difference. And you need a determined and committed government not afraid to take harsh decisions and impose strict measures. You need to make the punishment and fines for breaking traffic laws much higher. The minimum penalty for any traffic offence should be Rs 5,000 at least. The laws should be strictly enforced. For every new offence the fine should be double. Habitual offenders should be sent to jail for long-term imprisonment. The driver training programme needs to be very detailed and licences given only to properly trained and disciplined drivers. 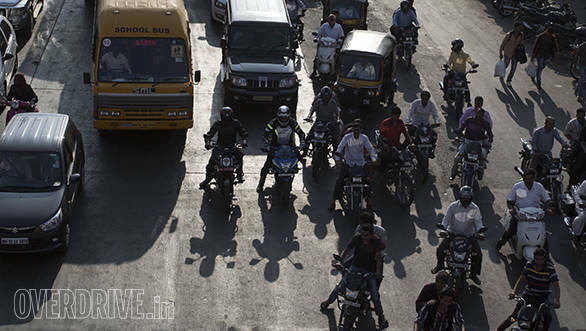 I am told about fifty percent of people using vehicles on Indian roads don't have licenses, especially in rural areas. Driving or riding without a license should be a severe offence with minimum five years imprisonment. Roads should be scientifically designed with proper markings. All vehicles should have more advanced safety measures. Almost all trucks and buses on our roads have bodies built by roadside body builders who are not qualified. They have no structural safety or any kind of safety feature and each one is a death trap on the move. Let me tell you I am still only scratching the surface. The problem is far more vast and countless more things need to be done to improve road safety in India. Can Road Safety Week improve our ways? Can Road Safety Week improve our ways?